Poetry slams are open to all students 13-19 years old. 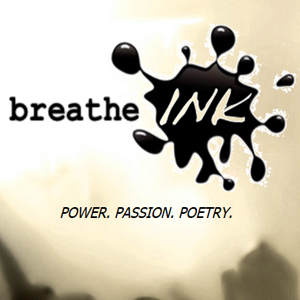 It is breatheINK's goal to allow all local teen poets the opportunity to express themselves through performance poetry. breatheINK is a performance poetry based organization that seeks to expose all Mecklenburg area youth to the knowledge and power of spoken word. Through workshops, poetry slams, school clubs and organizations, and other activities we will allow youth in our community to enhance personal and social growth through self-expression, build stronger creative writing and comprehension techniques, increase self-confidence through personal presentations, and develop teamwork skills through group poetry. We are an organization created to help students of all ages find the young artists hidden within themselves. It is our belief that creativity in any form, especially performance poetry, expressed from the minds and hearts of our younger community members should be displayed in any way possible for the benefit of us all. It is our goal to create positive opportunities for young poets to increase their writing skills, learn the art of poetic performance, practice group poetry, craft poetry slam strategies, and discover all ways to use their art for positive and professional purposes.